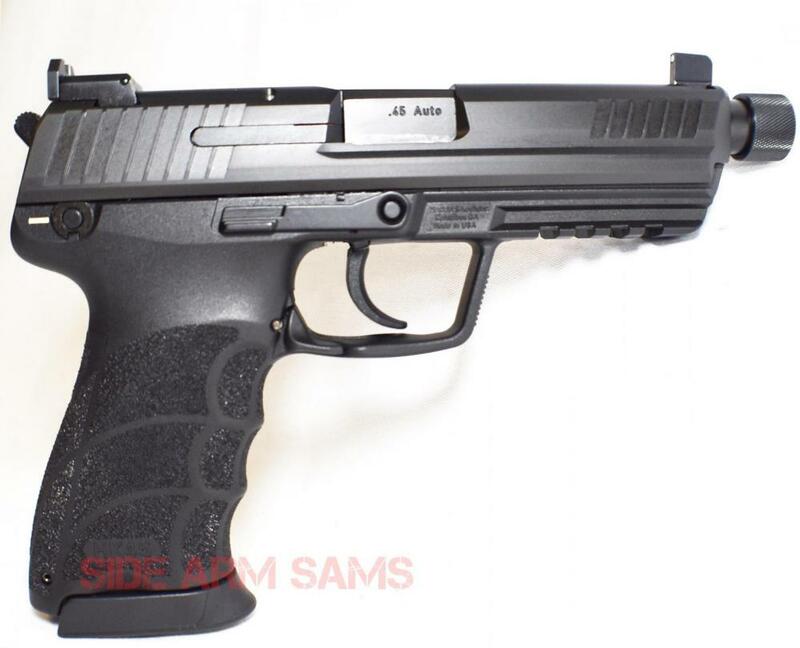 The HK45T Tactical comes standard with a Factory Threaded Barrel and Night Sights. 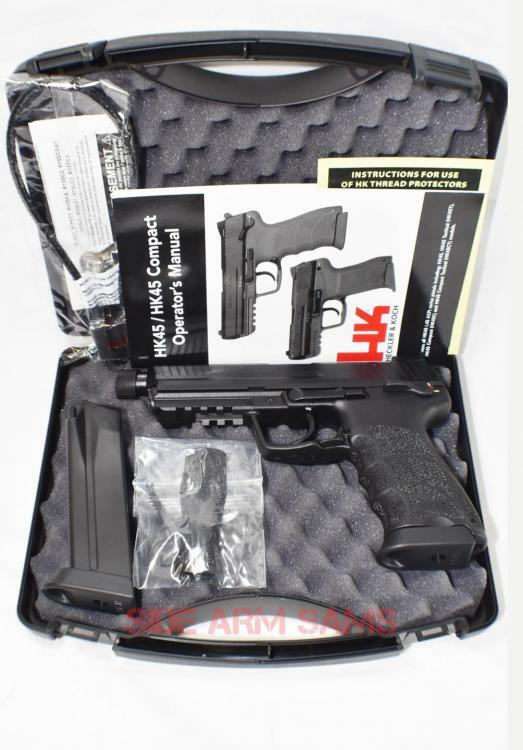 The full-size HK45 Tactical (HK45T) model uses an ergonomic grip design that includes changeable backstraps together with molded finger grooves that instinctively position an operators hand for optimum shooting. 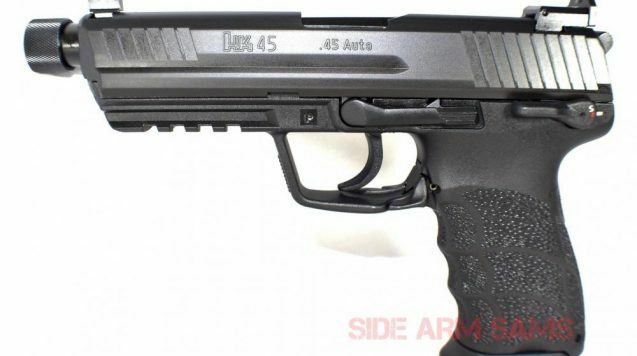 The HK45 Tactical uses a 10-round steel magazine and has a Picatinny MIL-STD-1913 rail molded into its polymer frame for mounting lights and accessories. 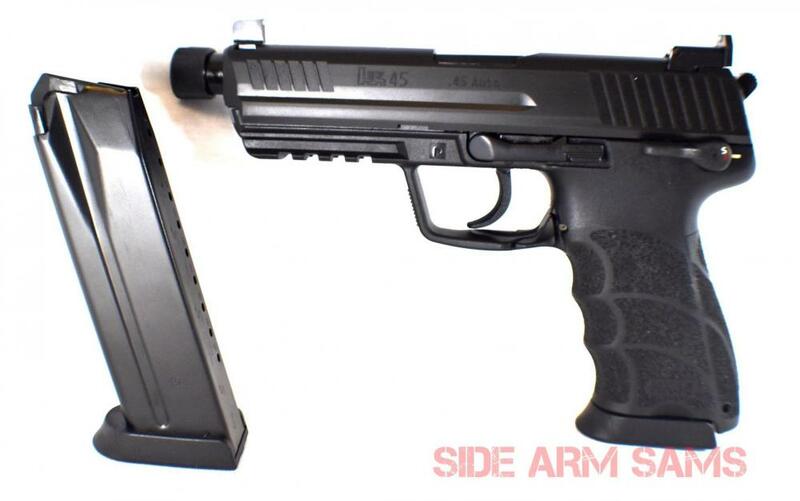 Using HKs unique internal mechanical recoil reduction system reduces the recoil forces imparted to the weapon and shooter by as much as 30%, improving shooter control during rapid firing and increasing component service life. 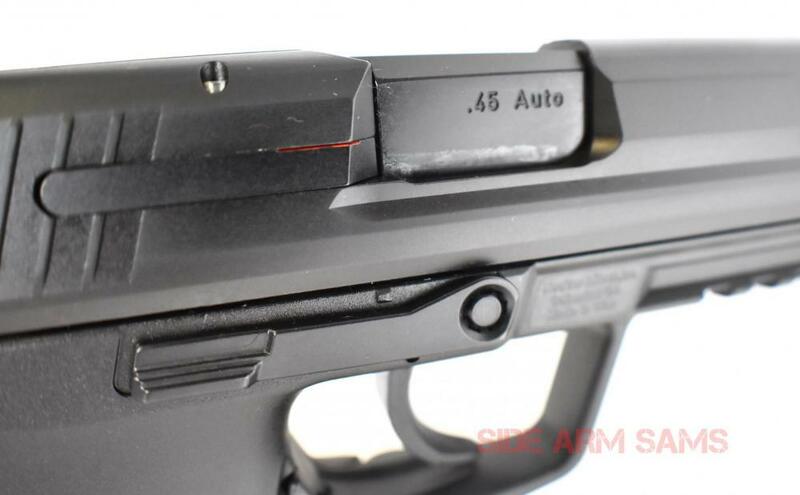 The HK45 uses an HK proprietary O-ring barrel for precise barrel-to-slide lockup and optimal accuracy. 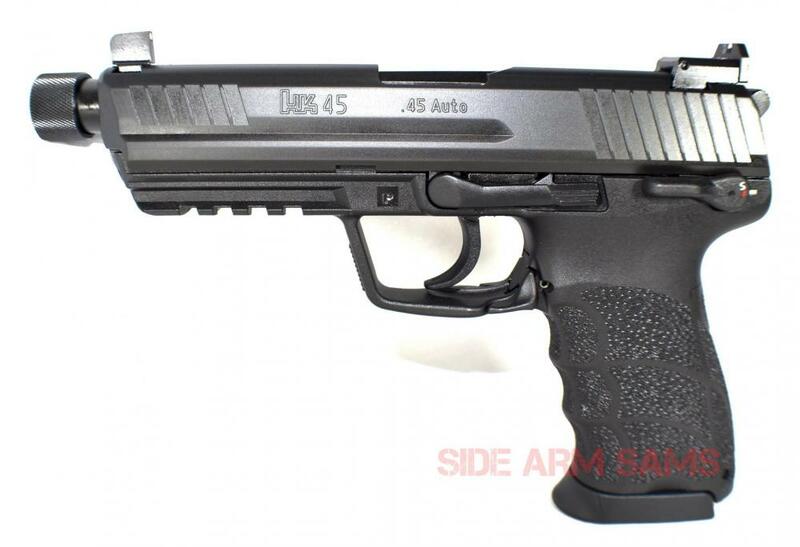 HK45 barrels are made using the famous HK cold-hammer forging process for superior performance. Variant 1 is a DA/SA with a manual safety/decocking lever) on left side of frame. Includes (2)10rd Magazines, Spare O-rings, Spare Back Strap, Cable Lock, Manual & factory Plastic Pistol Case.